In certain sports, the player who spends the most time on the playing field is called an Iron Man. In the first month of the Turkish Airlines Euroleague season, the player with the most minutes on court was more like the Man of Steel. Vassilis Spanoulis played almost non-stop last month until the first overtime game of the season was finished and Olympiacos Piraeus was still undefeated. For his impressive will to win, no matter how great the effort required, Spanoulis is Euroleague Basketball's choice as bwin MVP for October. 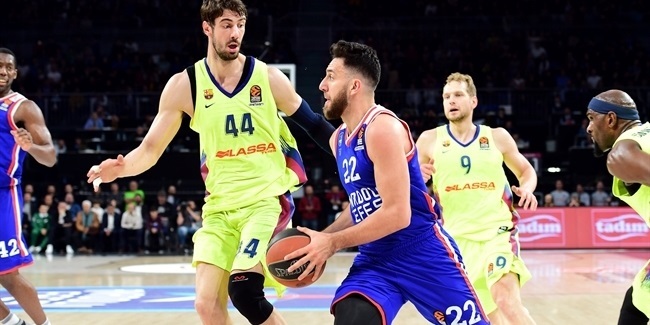 Of five undefeated Euroleague teams after three rounds, only Olympiacos and CSKA Moscow have won two road games, and the Reds did so while defeating two Spanish teams, as well. Spanoulis had everything to do with Olympiacos holding a 3-0 record and sitting alone atop regular season Group D. He led the Reds in scoring and assists in an opening-game road win at dangerous Valencia Basket. 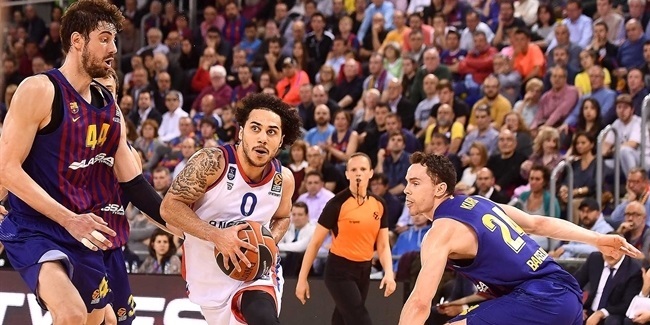 He saved his best for last in a home victory over Laboral Kutxa Vitoria. And he posted his best scoring game in more than 175 Euroleague appearances to make sure that Olympiacos survived overtime away against Neptunas Klaipeda. All told, Spanoulis was more vital than any other player in making sure his team was perfect in October, and as such, has earned the third bwin MVP of the month award of his career. The bwin MVP of the Month honor is now in its 11th season. Although statistics and performance index ratings are taken into consideration for the award, they alone do not determine who is honored. The winner is named by Euroleague Basketball based on his and his team's performance. The award for October was based on the three regular season games that all teams played between October 15 and 31. Euroleague Basketball partner bwin is the sponsor of the MVP of the Month award. Just as the best Euroleague player each month combines performance and leadership for success, so does bwin's sponsorship communicate its conviction to be the best betting brand in European basketball. For Olympiacos, the season's opening month spelled doubt after coach Georgios Bartzokas resigned less than a week before the first game and his assistant, Milan Tomic, moved temporarily to the head of the bench. Olympiacos opened on the road against Valencia Basket, last season's Eurocup champion, and took the challenge to the hosts thanks to Spanoulis scoring 21 points, hitting 4 three-pointers and dishing 5 assists. All three of those stats were game-highs as the Reds squeezed out a 68-71 road win to start the season. The next week, in a defensive battle at home, Olympiacos prevailed 63-57 over another Spanish team, Laboral Kutxa Vitoria, as Spanoulis made 7 of 10 free throws, including 3 in the game's last 2 minutes, on an otherwise tough shooting night for him. Round 3 meant another road trip for Olympiacos, its first ever to face Neptunas Klaipeda, which had won its first Euroleague home game and now put up another great fight to push the Reds to the first overtime of this Euroleague season. Spanoulis was not merely ready for the challenge, but gave a performance to remember in his 177th Euroleague game. 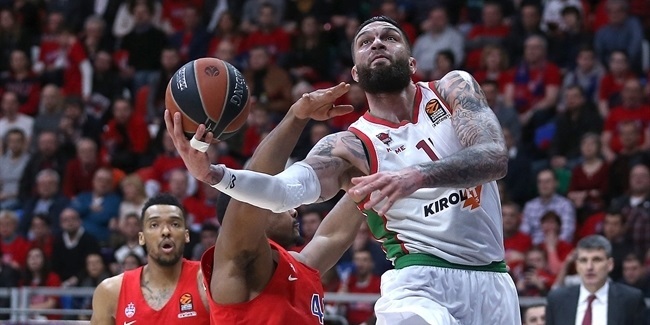 Playing 41 minutes, scoring 34 points and nailing 6 three-pointers – all three his Euroleague career-highs – Spanoulis willed Olympiacos to victory with 6 consecutive points in overtime that put his team ahead for good. Its second good-as-gold road win positioned Olympiacos as well as possible, with four of its last six games at home, for a successful regular season despite it having started with uncertainty. His stellar October performance has not only put Olympiacos in the driver's seat of difficult Group C, but also has landed Spanoulis at the top of the Euroleague scoring charts so far with 21.3 points per game. He now stands just 50 points away from becoming the fourth player in Euroleague history – after Juan Carlos Navarro, Marcus Brown and Jaka Lakovic – to surpass 2,500 points in his career. Considering how hot he has started this season, don't be surprised to see Spanoulis reach that milestone in an upcoming home game soon after receiving his bwin MVP of the Month award before his adoring fans at Peace and Friendship Stadium in Piraeus.